Mickey Newbury was influenced by many artists, and he discovered many artists in his career, a career he cut short to raise his family and play golf, an activity that seemed to interest him far more than the guitar. His Eye Is On the Sparrow did not manage to chart, barley making a ripple, though it is considered to be one of his most pretty, and certainly most intimate, filled with subtle nuances, flowing textures, tender beauty, and laced with fragile loneliness, but not in a manner that bespeaks of road or wold weariness. With all of that being said, it’s difficult to listen or consider this album to be anything more than Christian philosophy, where the listener is visited with these persuasions over and over again, though at this point in time it’s rather difficult to determine whether Newbury was merely declaring his alliance with his god, or if he saw his songs as a means of conversion. Now, least I dissuade you from listening, there are several songs that bear no Christian fruit. 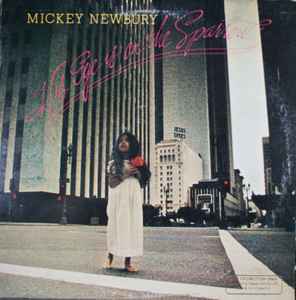 Certainly Mickey Newbury should be a household name, but alas he’s not, meaning that he’s often discovered by accident, forever roaming in the country music underground and discount record store racks, which is a shame, because the man certainly has talent.